Submitted by admin on Fri, 2015-10-02 14:43. I have reserved 108 Duncan Hall (the small conference room) for us to get together and watch the keynotes live streaming from Adobe MAX in LA. Bring a bag lunch and come join us for the fun! The MAX keynotes will be live on Monday, October 5, 11:30–1:30pm (Central Time), and Tuesday, October 6, 12–1:30pm (Central Time). See the latest Adobe Creative Cloud tools and trends, including the next innovations for mobile, advancements in touch apps, and ways to keep all your assets at your fingertips. Hear from innovative speakers who will inform and inspire you, and explore how to create your best work anywhere inspiration strikes. Submitted by admin on Tue, 2015-05-19 09:04. Submitted by admin on Tue, 2015-02-24 14:56. Last year at Adobe MAX, 5,000 creatives showed up to hear speakers like filmmaker Lee Hirsch and photographer Ami Vitale, to learn and create and to party with Kings of Leon. This year is going to be even better. Preregister by March 31 to save $500. Student discounts will be available when regular registration begins. Submitted by admin on Fri, 2014-10-17 12:43. Submitted by admin on Thu, 2014-10-16 16:21. As usual, this year's Adobe MAX was fantastic. I'm sorry you could not all join me there, but it's never too early to start planning for next year! Yes, it's true that everyone who attended the conference this year got a free 1 year subscription to Adobe Creative Cloud and Microsoft Office 365, as well as a new Microsoft Surface Pro 3. A few years ago when the Google TV first came out, everyone got one of those. I can't guarantee you will get new hardware if you come, but it if you don't go you will definitely miss out! There were too many incredible things to try to list them all here, but here are a few highlights with links to info/videos. Submitted by admin on Mon, 2014-08-11 09:37. Attention Wordpress users! WordCamp Birmingham will be held this weekend, Saturday, August 16th, 2014, at the Harbert Center in downtown Birmingham, AL. Registration is $20. 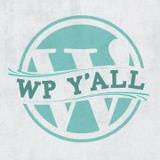 Please visit their website for more information, schedule, and registration (http://2014.birmingham.wordcamp.org/). Submitted by admin on Thu, 2014-07-17 10:26. Submitted by admin on Wed, 2014-05-14 14:12. Join us for our next meeting Thursday morning, May 15th @ 10:00AM, in Duncan Hall conference room. Tyler is going to talk to us about some mobile development work he has done for the new Firefox OS phone that he has. Submitted by admin on Thu, 2014-04-17 01:31. Join us for our next meeting, Thursday morning, April 17th @ 10:00AM, in the Director's conference room in Duncan Hall. Please note, this is across the hall from our usual conference room meeting place. See you there! Submitted by admin on Wed, 2014-03-19 09:21.